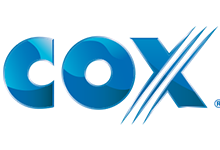 Cox communication is a telecommunication company based in the United States. They offer high-speed internet free emails to customers. Cox provides its users with security tools and other settings to customize their email experience.. Cox communication offers email service Cox email. With Cox email one can send emails and also receive from anywhere in the world therefore there is no geographical hindrances. For users who have registered or want to register they need a smartphone, tablet, laptop or desktop and they should have an internet connection. For users to access the Cox webmail they need login credentials, username and password. If you have the username and the password you need to search for Cox webmail using your device then key in the credentials which will open the webmail homepage. For you to open the Cox webmail you can use any web browser for example, Internet Explorer, Firefox, Safari or Google Chrome and key in webmail.cox.net in the browser and the enter user ID and password then you should click on the webmail button. If you don’t want to use the webmail using a web browser you can alternatively use programs like Apple Mail and Outlook. While using these programs you need different settings. If you don’t want to use your browser to access Cox email you can also use your Android smartphone, iPhone, desktop or laptop for sending and receiving emails. If you opt to your mobile devices to access webmail you will need the right setting. All the broadband providers in the United States use different servers for webmail therefore you will need to set your devices so that you can access the Cox email. You can use a standard email program on iOS, Android or Windows operating systems devices to access your webmail. For you to access the webmail using this devices you only need an email address and password from your broadband provider. 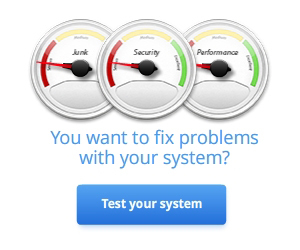 Cox email can be installed in both Android and iOS operating system. It can be accessible in mobile phone and tablet and it is easily compatible with other applications. Cox email can be used together with Gmail to send and receive emails by using Gmail server to send and set your Gmail account either to send everything as from your Cox email address or to reply as from the address the original came to. Below you will find the settings like POP3,IMAP,SMTP for the Cox webmail. Also videos to install webmail on ios and android. Incoming Mail Server See Email Server Names for details. Outgoing Mail Server See Email Server Names for details. See Email Server Names for details. 465 with SSL enabled and check the authentication box, if availableNote: Cox does not recommend the use of unsecure ports.